Key Stage 3 pupils at the Pembrokeshire Learning Centre in Neyland have been busy spreading festive cheer. 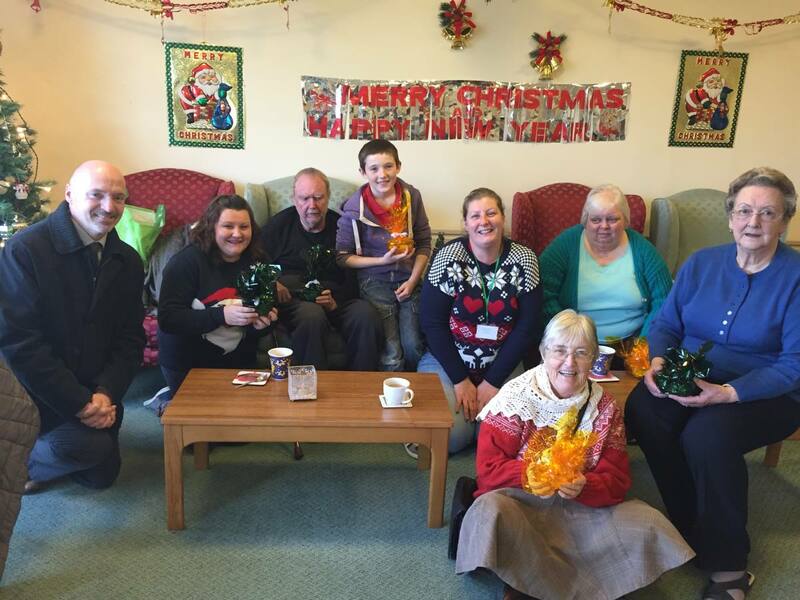 They made a special delivery of gifts to the residents of Windsor Gardens in the town, accompanied by Pembrokeshire County Councillor Simon Hancock, the Authority’s Cabinet Member for Adult Services. The pupils all got involved in making mince pies, Christmas fairy cakes and hand-made Christmas cards and spent time meeting and talking to the residents. Pictured is Councillor Simon Hancock; teacher, Michelle Lewis; Higher Learning Teaching Assistant Vicky Phillips; pupil Leon Spear and some of the Windsor Gardens residents. Pictured are pupils Aled Morris, Zack Roberts, Lauryn Moseley, Josh Skipper and Ashlee Rees with some of the gifts they made. This entry was posted in My Work on January 5, 2015 by admin.